Windows 10 preferred. Windows 7 and 8.1 can make and serve recordings to other clients. PC must be on at all times in order to make recordings or access previously recorded content. Sleep mode should be disabled. Whatever PC is being used for recordings should be physically connected to the network via Ethernet. Wifi is fine for client devices. You need to activate your DVR software, if you haven’t already done so. Visit the Shop. Purchase the DVR Activation. When you get your receipt titled “Your SiliconDust SHOP order receipt,” it will include a link to activate your DVR. Click that link. Fill in the email address and activation code also found in your receipt. You do not need to activate more than once per household. 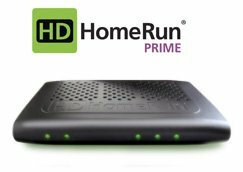 If you also want to watch Live TV and playback video on your Windows machine, download and install the HDHomeRun app from the Windows App Store on your PC, . Run the program you downloaded in the previous step. At the end of the installation wizard, the HDHomeRun Setup program will open. If you need to change the DVR settings in the future, you can find the HDHomeRun Setup program on your Start menu in the HDHomeRun folder. Click on the DVR tab in HDHomeRun Setup. Check the “Use this PC for making recordings” box. By default, the DVR will record to the public Recorded TV folder on the C drive. If you have another location you would prefer to record to, click the … button and select that preferred location. 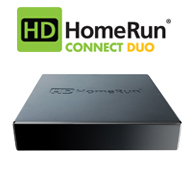 Click OK to enable the DVR and close the HDHomeRun Setup program. 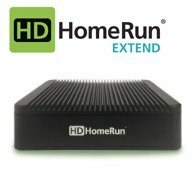 Go to http:/my.HDHomeRun.com and verify that HDHomeRun RECORD shows in a box at the top of the page. Use of 3rd Party Firewall/Security software may cause problems. 3rd party anti-virus software should not be used on the PC being used for recordings. It impedes performance and can block necessary network traffic. Native Windows software is sufficient. 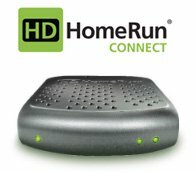 Launch the HDHomeRun app to start watching TV (if you are on Windows 7 or 8.1 you can use your machine to save recordings; for playback you will need to install Kodi as a software client).